American word-of-mouth sensations Nahko and Medicine For The People are returning to Europe in August after a sell-out UK & European tour in January this year. Nahko, an Oregon-native born a mix of Puerto Rican, Native American, and Filipino bloodlines considers himself a citizen in service to the planet. 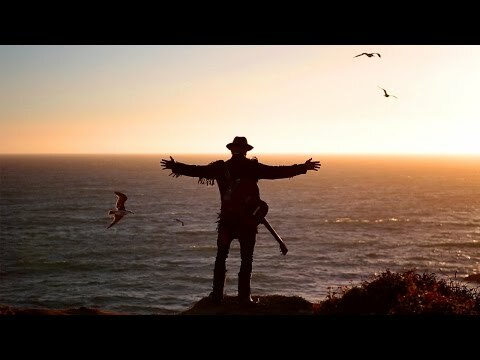 Disillusioned by the world around him and inspired by vagabond, Americana musicians and storytellers like Conor Oberst and Bob Dylan, Nahko left home as a teenager in search of adventure and self discovery. Armed with stories, a guitar, and a fierce set of ideals, he set out to bridge the cultural gaps dividing his own psyche. He began producing a public, musical journal of his journey toward personal, spiritual, and social healing, and thus Medicine for the People was born. Recently, Nahko discussed his successes, his philosophies, his music, and his life with Huffington Post, who called Nahko’s music “beautiful and stirring.” Nahko describes his music as a mix of hip‐hop and folk rock with a world message. With a fervent and passionate audience of devotees hanging on their every word, Nahko and Medicine For The People will play shows and festivals in Europe throughout August. A brand new album, with Grammy Award winning producer Ted Hutt (The Gaslight Anthem, Flogging Molly), is due for release via Side One Dummy in 2016. Nahko and Medicine for the People are a must see.